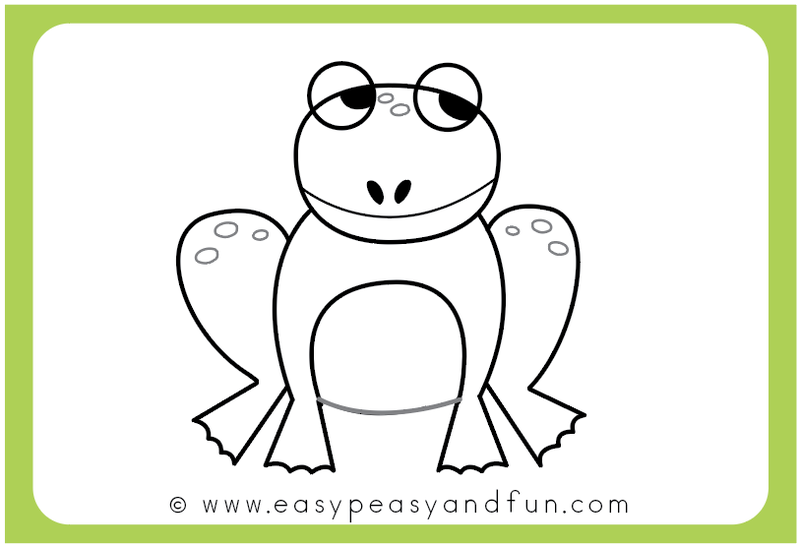 This tutorial will teach you how to draw a cute little amphibian and as it really is an easy one, it’s suitable for all ages (we have some tips on how to make it even simpler). 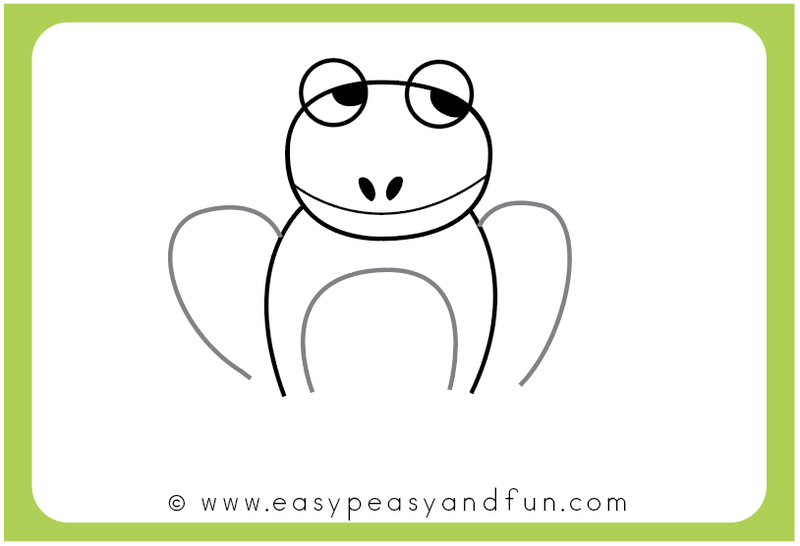 Follow our easy step by step drawing directions and learn how to draw the coolest little frog in no time. 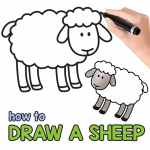 This tutorial is easy to follow so it’s more than suitable for kids and begginers. The printable temple with directed drawing steps is super handy if you are planning an drawing lesson in your classroom as you can hand each student their own sheet. black marker (or pencil, crayon,…) (tip: most drawings look better if drawn with a marker rather than a pencil, thicker lines will make your project look cuter and will motivate you more). 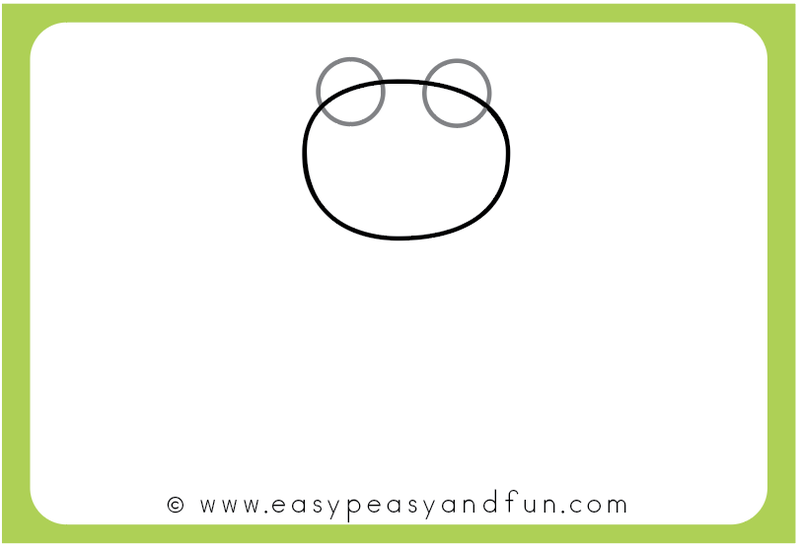 We recommend printing our frog directed drawing template (scroll to the en of our tutorial to grab it) as it will make drawing on the go easy peasy. Pick your favorite drawing medium (we love markers) and start drawing. We’ll start with the head. 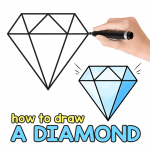 Start by drawing an oval shape for the head (round one is fine too). 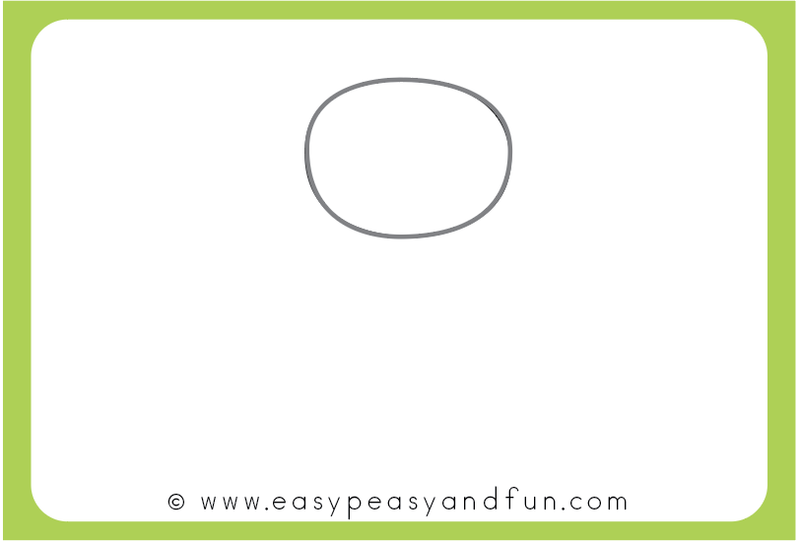 Draw two smaller circles on the top of the oval shape. The line of the oval shape should “pierce” the circles. You have just drawn the frog eyes. See easy! 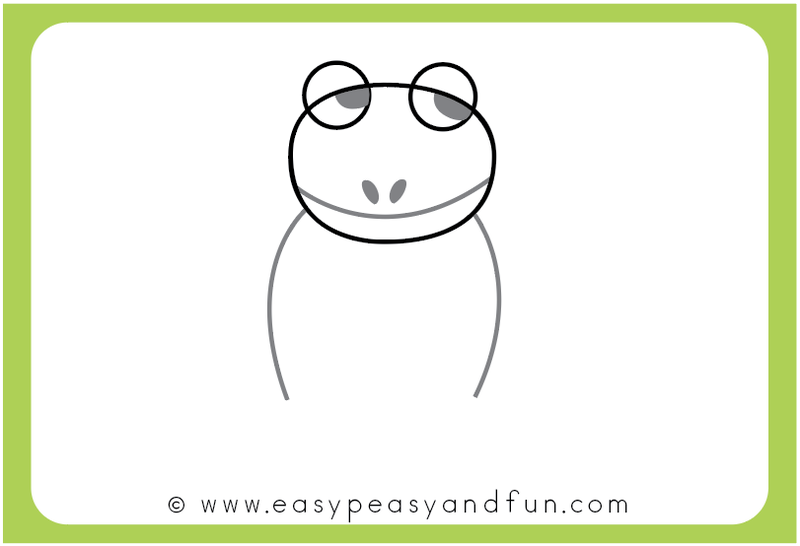 Make the facial features of your frog. Draw two black circles for the eyes. The frog will look cooler if the eyes are looking to one direction (left or right) rather than just to stare right at you. Draw the mouth. Start on the left (or on the right, whichever feels more natural) and draw a line from one side to the other, slightly arching it downwards in the middle. Add two nostrils. 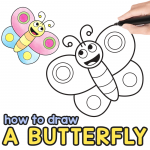 Draw the outline of the body by making two bent lines on the left side and the right. 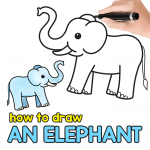 Younger kids can also draw straight lines – the end result will still be nice. More arches! 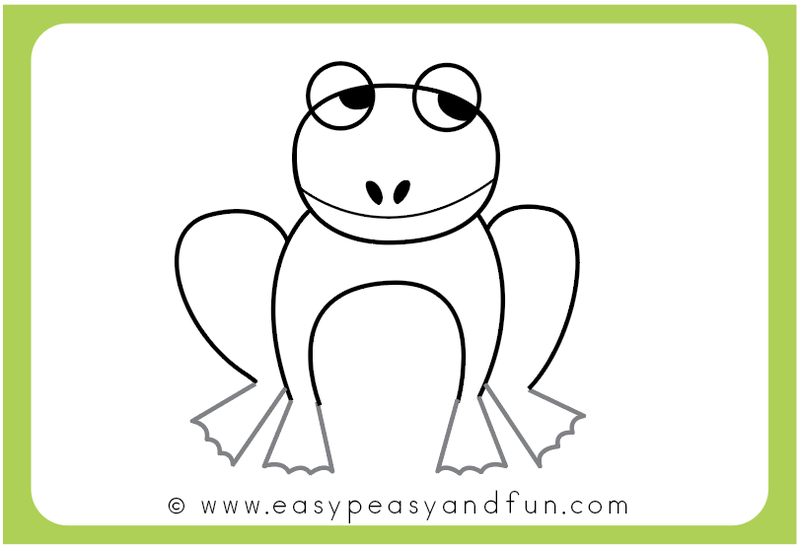 Draw the left and right frog leg – the right one as you would start writing the number 2 and a similar shape on the other side. Also draw the belly, draw the inverted U shape. Now to complete the legs. 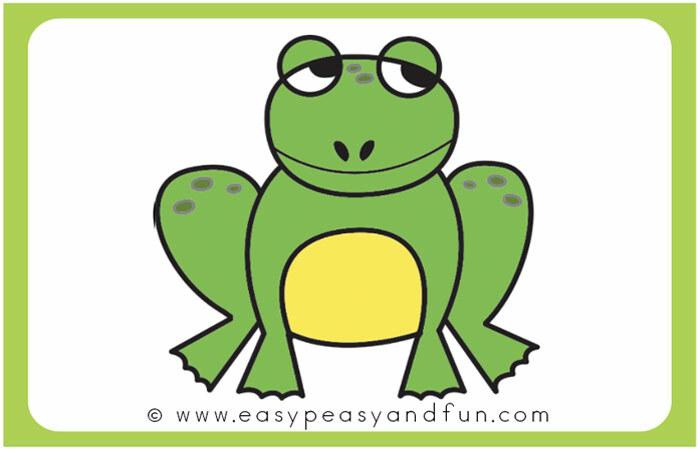 Draw the frog hind legs and fore legs. 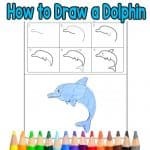 If you are more skilled you can add the finger details as shown on the picture, while younger kids and absolute beginners can just draw a straight line (making the legs more of a triangle shape). Almost done. Draw the line under the frog belly and finishing details (spots on the body). Congratulations! 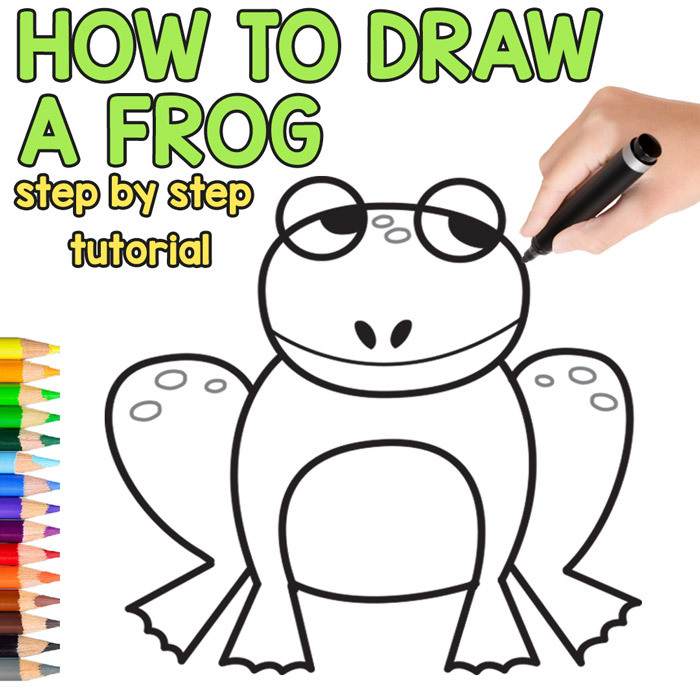 You have learned how to draw a frog! All there is left now is to color your creation.